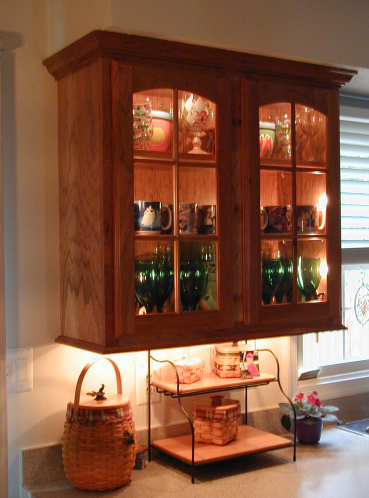 LED lighting is often used in under cabinet lighting, inside glass cabinets, above cabinets, under vanity toe kick areas, and so much more. While LED (light-emitting diodes) lighting is nothing new, there has been a heightened interest in this light source because LED lighting uses less energy and lasts longer than incandescent bulbs. Basically, LED lighting is a GREEN lighting source. And nowadays, who doesn’t want a greener home or business? When you hear the term “LED Tape,” you might be a little confused. Don’t be. When we say LED tape all we mean is LED light strips. These energy efficient strips can be installed almost anywhere, including finished spaces due to the low voltage small wiring aspect of the installation. LED tape is often used in under cabinet lighting, inside glass cabinets, above cabinets, under vanity toe kick areas, and so much more. LED lights have a long life, up to 50,000 hours. LED lights are low voltage, making for easy installation. LED lights operate at a very cool temperature and put off little to no heat, making them a much safer option. LED lights put off warm white 2800-3200 Kelvin / perfect light as compared to standard incandescent. LED lights are instant on with no flickering as found in some fluorescent fixtures. LED light systems can be dimmed for ambiance as well as cost savings (you use less wattage when lights are dimmed). LED lights are very cheap to operate, meaning you don’t have to stress the next time you forget to turn off the lights before you leave for work. How Energy Efficient Are LED Lights? Most kitchens equipped with LED lighting will only use up to 48 watts of power at an average use of less than 4 watt per linear foot of LED tape. This is compared to standard halogen lighting, which uses three times that much at 12 watts per linear foot. Plus halogen lights get extremely hot and have a fraction of the bulb life. LED lighting can be installed in virtually any room in your home, and when you trust the experts at TriStar Electric you know the job will be done professionally and on time. Contact us today for a free evaluation and consultation with our LED lighting specialist (and co-owner) Dave Crawford. After we arrive at your home, we can take a quick look around to determine the best places for LED lighting. The lights that we recommend will be based on our experience, and also on your needs.We have a wide variety of LED lighting solutions to fit any budget. TriStar Electric can also handle switching out your current lighting schemes with LED lighting solutions. If you are interested in learning more about LED Lighting, please contact TriStar Electric by calling 410-799-5791 or 301-384-8880. Our electricians will answer your questions and provide you with expert advice. This entry was posted on Wednesday, May 13th, 2015 at 9:13 pm. Both comments and pings are currently closed.